Mr. Robert W. “Bob” Daniel, 74, a resident of Beulah, AL passed away Wednesday, January 23, 2019 at the Bill Nichols State Veterans Home in Alexander City, AL. A memorial service will be held at 11:00 AM EST on Saturday, January 26, 2019 from Johnson Brown-Service Funeral Home in Valley, AL with Rev. Rusty Letson officiating. The family will receive friends one hour prior to the service at the funeral home. Survivors include his children, Jason Daniel (Lola), Sherry Halsey (Chris), Tricia Dyer (James), Jimmy Conway (Faye); nine grandchildren; three great-grandchildren; two sisters, Sarah Key (Robert), Harriett Wadkins; special niece, Becky Nelson, and several nieces & nephews. He was preceded in death by his wife, Kathryn Daniel, daughter, Angie Brooks, parents, J.C. & Ethel Daniel, and a brother, John S. Daniel. Mr. Daniel was born in Randolph County, AL on February 15, 1944. 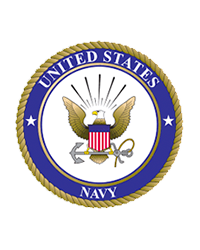 He was a veteran of the United States Navy, having served in Vietnam. He was an avid Alabama fan, and loved to fish and enjoyed spending time at Osanippa Creek. He was a member of the Methodist faith. In lieu of flowers, memorial contributions may be made to Bill Nichols State Veterans Home or to the Alzheimer’s Association.